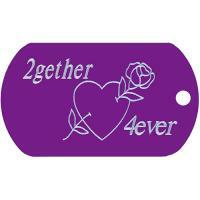 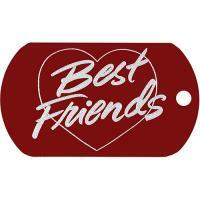 Love dog tags make a great addition to your fundraisers. 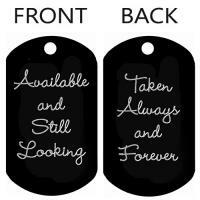 Students will want to give their boyfriends, girlfriends or best friends a dog tag as a gift and want to keep one for themselfs. 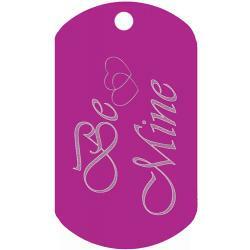 Includes 3 lines of custom text on the backside to make gifts personalized. 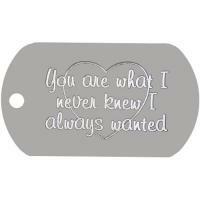 Includes a dog tag necklace chain or key ring. 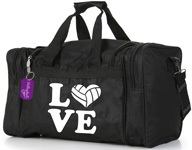 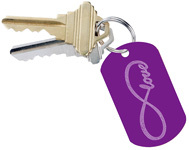 Great for Necklaces, Key Rings, Sports ID Tags and more.